At Kerrigan's Family Farm, we’re big on Mushrooms. 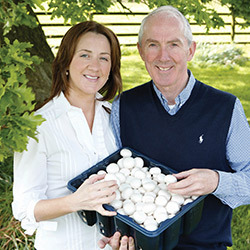 Nestled just outside the historical town of Kells, Co. Meath, Kerrigan’s Farm was established in 1981 as growers of quality mushrooms and still remains a family run farm to this day. 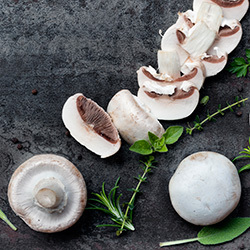 We grow and pack all of our own mushrooms and our dedicated, passionate team work towards exceptional quality standards in order to deliver best in class products. John Kerrigan has been growing mushrooms for over 30 years. His daughter Karen is also part of the Kerrigans team - extending the product range, and sharing consumer and shopper knowledge through to recipe development for the tastiest mushroom dishes. Today, we are one of Ireland’s leading producers of mushrooms, and the first mushroom grower to obtain Origin Green Status for Sustainability Credentials. 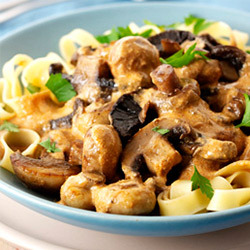 All of our mushrooms are picked, packed and delivered to our customers on the same day to guarantee freshness. We are always looking forward, whether it is introducing new innovative ideas, or developing our branding and packaging to communicate and educate our customers on tasty ideas and recipies using the best quality mushrooms.